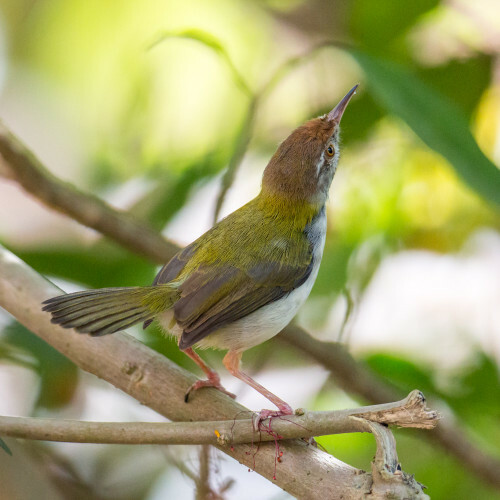 I came across this dainty Tailorbird, Orthotomus sutorius, amidst the brush and scrub at Bondel. It was photographed using my Canon EF 300mm f/2.8L II IS USM with Canon EF 2X III Extender on Canon EOS 5D Mark III Camera. 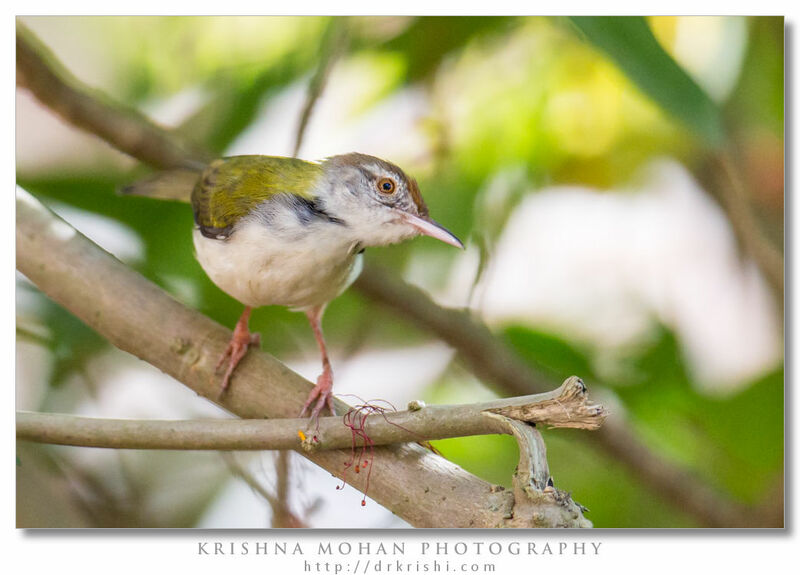 Tailorbirds are a common sight in our cities and garden. It is one of the more common birds to frequent the urban scene, right up there along with bully mynahs and dignified bubuls. 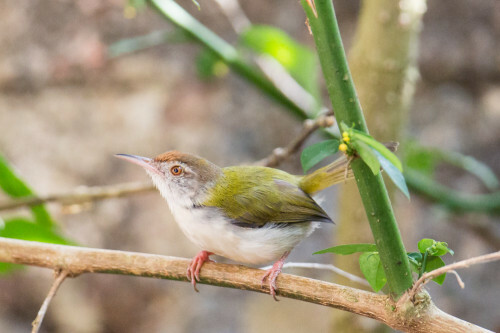 And yet, despite being common, tailorbirds are largely unknown to most people, who fail to notice it owing to it’s small size and sombre color tone. 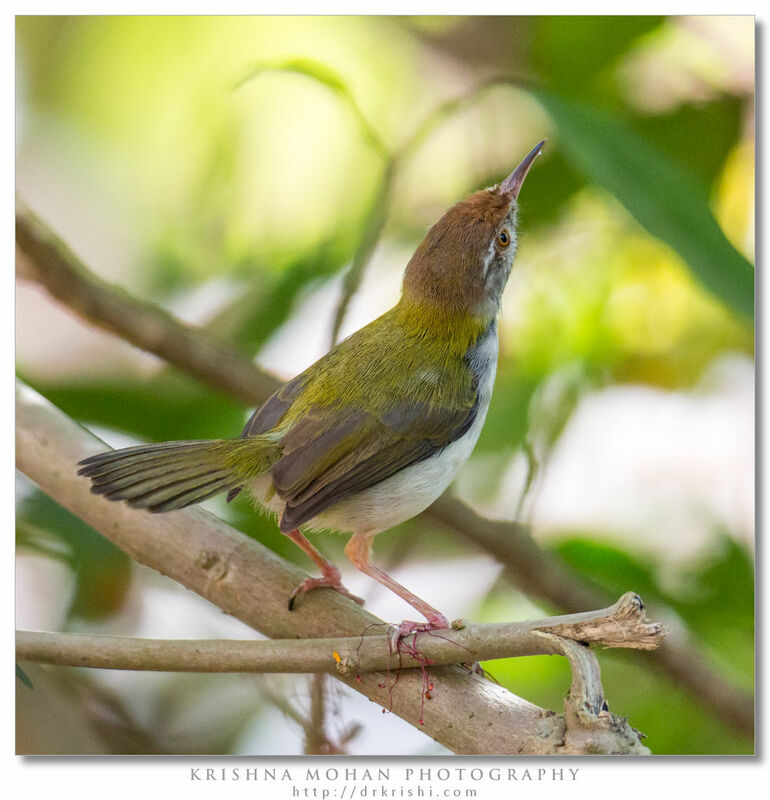 Tiny greenish-brown warblers, both sexes are superficially alike, being largely greenish with a dash of gold or chestnut on the head and a neat black collar, visible only when the neck is stretched. The lower parts dull white, and are thus lighter in colour than the back and wings. 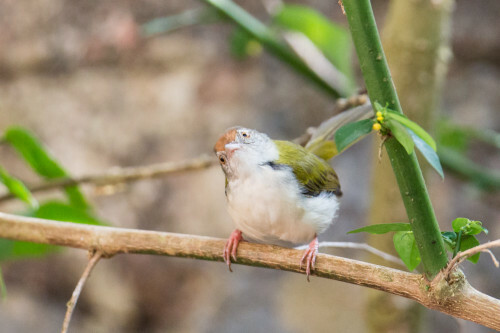 When breeding, two middle tail-feathers in the male bird grow to a greater length, extending two inches beyond the tail. 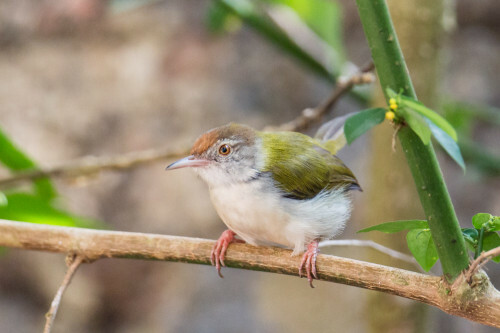 What tailor birds lack in size and brilliance, though, they make up in sheer vivacity, constantly flitting amongst foliage while foraging for insects and periodically giving vent to a loud, distinct and melodic note, rather nasal in nature, which may be syllabized as ‘to-wit, to-wit, to-wit’. The latin name of the tailor bird sutorius means ‘cobbler’ rather than ‘tailor’, while Orthotomus means ‘straight-cutting’. 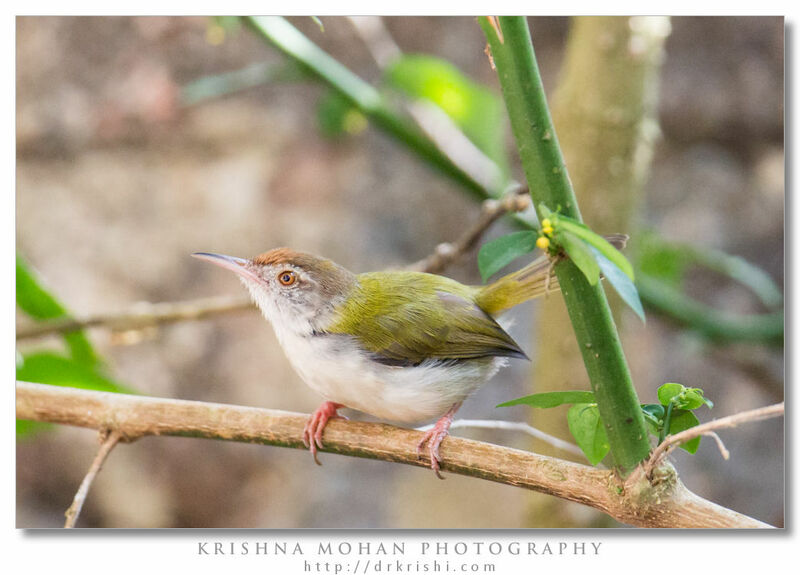 The birds are popularly known as ‘tailor birds’ owing to their curious, yet fascinating behavior of stitching together two or more leaves to form a nursery for their young. The bird’s beak is its needle and the cotton wool used to form threads can begged, borrowed, or stolen as situation permits. For example, If the fruits of the silk-cotton tree are ripe, the birds extract cotton from them, spinning it into a thread of sorts with their beak and feet. If no silk-cotton trees are present in the vicinity, they will recourse to utilizing the fibrous webbing present at the bases of the petioles of the Common Toddy Palm. I have also seen tailor-birds making cotton thread from pieces of discarded cotton wool, during the nesting season. The nest is a deep cup, lined with soft materials and placed amidst thick foliage. The leaves making up the nest have their upper surfaces facing on the outside, making it extremely difficult to spot. In addition, punctures made along the edges of the leaves, while sowing them together, are minute and do not result in browning, further aiding the camouflage. After nest construction is completed, three to five diminutive eggs are laid in it. 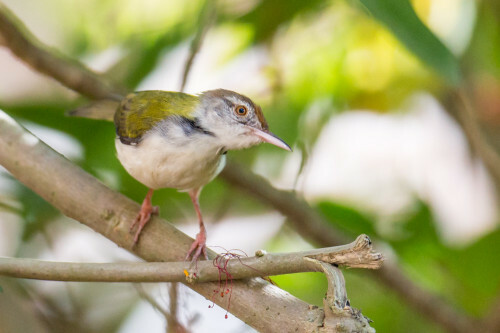 The tailor-bird, like several other species, lays more than one type of egg. Some of which may have white background with red blotches. 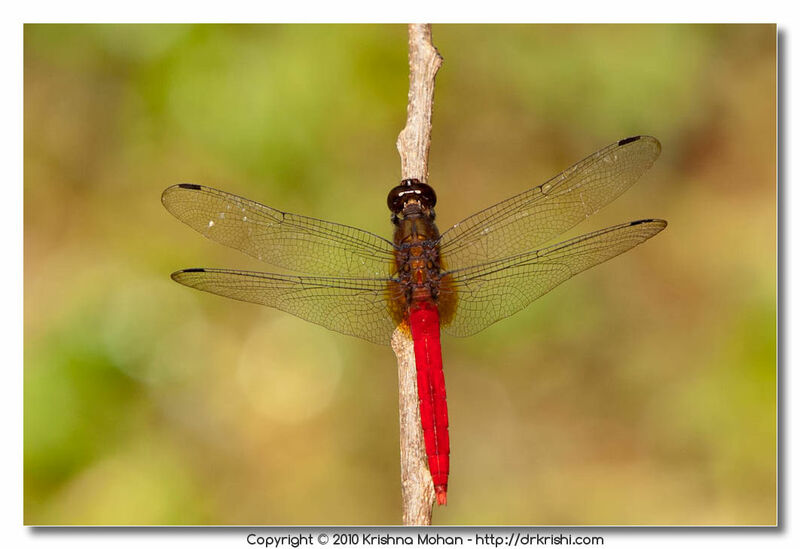 Others may be white with faint red speckling and still others might be blue in color, marked with red. Incubation period lasts about twelve days. Mortality of eggs and chicks is often high owing to predation by rodents, cats, crow-pheasants, lizards and other predators. The young birds fledge in about 14 days with both parents participating in feeding and sanitation. Nests are also, on occasion, parasitized by the Plaintive Cuckoo (Cacomantis merulinus). 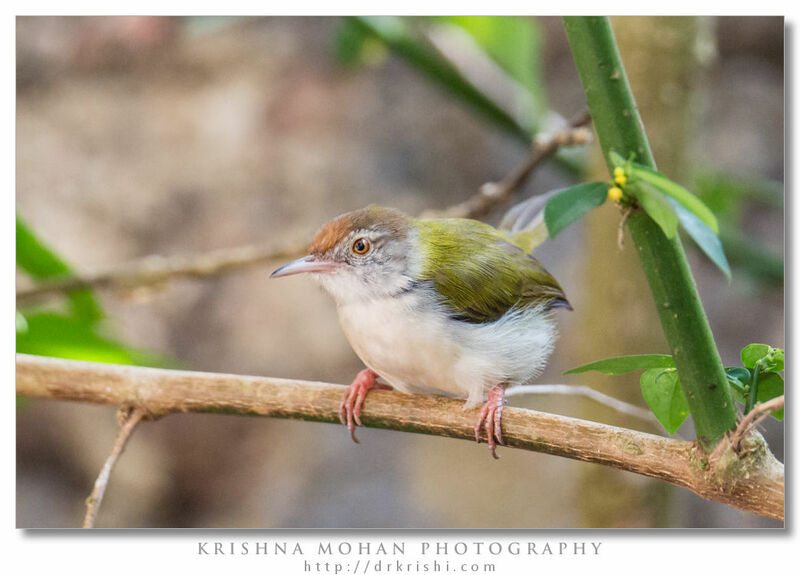 Tailorbird nests are often almost placed within three feet from ground level and are commonly found in urban gardens. 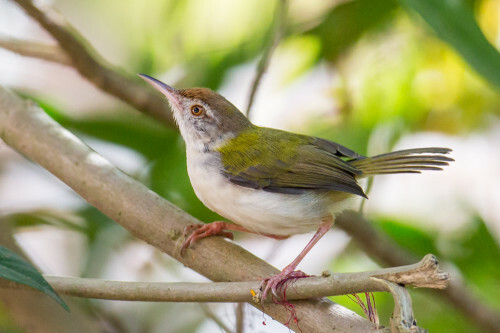 And although Tailorbirds derive their name from the nests they construct, this behavior is not unique to them; many prinia warblers construct similar nests. EXIF info - Aperture : ƒ/5.6 | Camera : Canon EOS 5D Mark III | Taken : 23 December, 2012 | Flash fired : no | Focal length : 600mm | ISO : 3200 | Location : 12° 55.3451′ 0″ N 74° 51.989′ 0″ E | Shutter speed : 1/1000s | Images and content Copyright © Krishna Mohan. Please contact me to purchase prints or for image publication license. EXIF info - Aperture : ƒ/5.6 | Camera : Canon EOS 5D Mark III | Taken : 23 December, 2012 | Flash fired : no | Focal length : 600mm | ISO : 2500 | Location : 12° 55.3451′ 0″ N 74° 51.989′ 0″ E | Shutter speed : 1/1000s | Images and content Copyright © Krishna Mohan. Please contact me to purchase prints or for image publication license. EXIF info - Aperture : ƒ/6.3 | Camera : Canon EOS 5D Mark III | Taken : 23 December, 2012 | Flash fired : no | Focal length : 600mm | ISO : 3200 | Location : 12° 55.3451′ 0″ N 74° 51.989′ 0″ E | Shutter speed : 1/1000s | Images and content Copyright © Krishna Mohan. Please contact me to purchase prints or for image publication license. 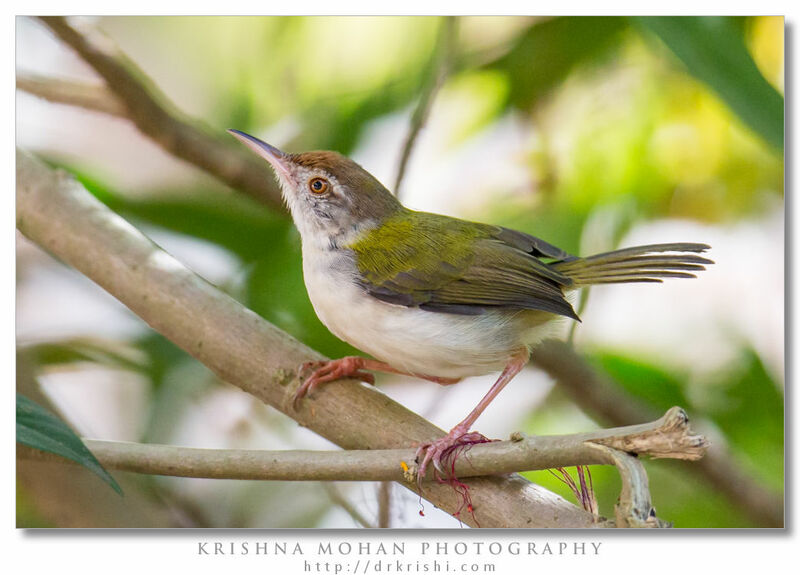 Hello sir, I just want knw something about tailorbird. I found the nest and chick in me garden, they all just 4 r 5 days old.. On next day that nest is mt..
Is there any possible that mother bird shifted that chick..??? They are in capable of carrying their chicks like the cats carry their kittens around. Chances are they were killed by another predator. Either cat or snake or any other. Nesting birds vary in the extent that they tolerate disturbance and some will desert their nest with just the slightest provocation. Being approached for a photograph, or simply having a photographer hanging around nearby, is plenty to cause some birds to desert. 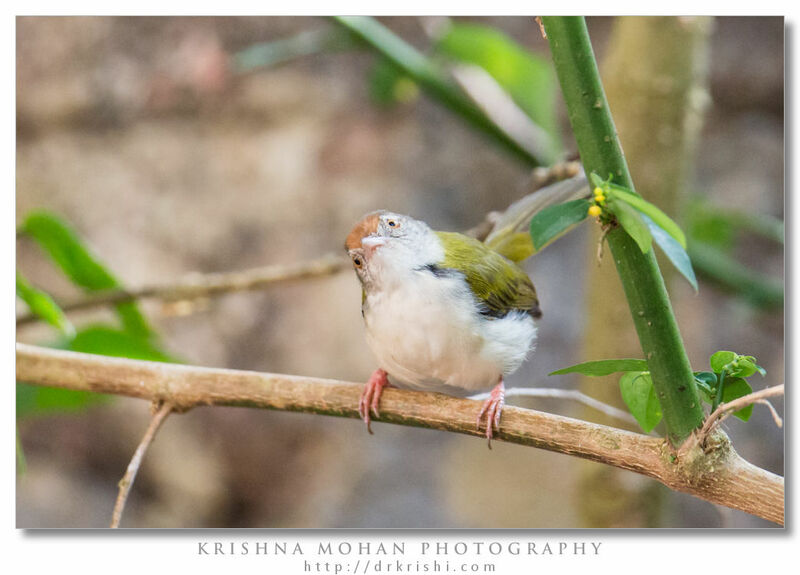 In some cases the bird will sit tight while the photographer is there leading the photographer to think that they are not causing any problems, but leave after he/she has departed. As well as causing desertion there are a number of other problems. The presence of a careful photographer who is not him or herself creating disturbance can nevertheless draw other people’s attention to the nest – and they may not be so careful. I believe non-human predators such as cats have been known to find and predate a nest after observing a human paying it attention. Sometimes photographers may remove vegetation from around the nest in order to create a clear view or to improve the photo. This is NEVER acceptable and if it doesn’t directly cause the birds to desert it will make the nest more visible to predators. Thank u soo much sir… After i read ur text feeling very bad because of they lost the chick… Am sorry for that.. In a future I never made this mistake anymore..